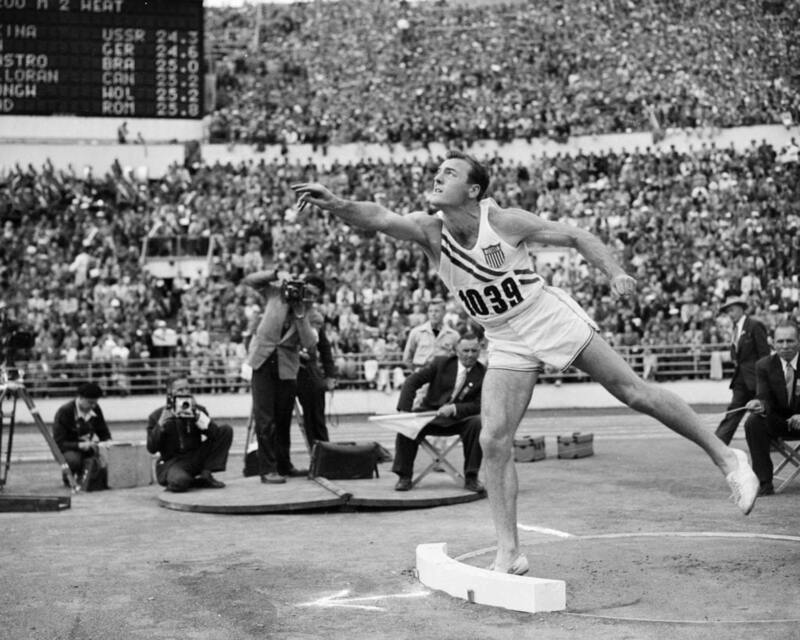 Robert “Bob” Mathias putting the shot in the decathlon competition on 25 July 1952. Still only 21, the American won his second Olympic decathlon gold in Helsinki. Mathias’s final score of 7,887 points was the new world record. His fellow countryman Milt Campbell took the silver after losing to Mathias by more than 900 points.